Nick Yelloly. © Malcolm Griffiths/GP3 Media Service. Carlin Motorsport racer Nick Yelloly is confident his sidestep to the GP3 Series in 2013 will bear fruit in his push to reach Formula One. Hailing from Staffordshire in England, Yelloly had previously raced in the original iteration of the GP3 Series in 2011 with Atech CRS, before moving to Formula Renault 3.5 in latter part of the year. A full season in the Renault 3.5 category followed in 2012, with Yelloly enjoying a confident run with Comtec, picking up two wins and a further two runner-up spots on his way to 5th in the championship, before announcing his switch back to GP3 with Trevor Carlin’s eponymous team. On his return to the Formula One support series, the 22-year-old scored a 4th place in race one, but was punted out of the Sunday morning opener while running in a podium place. Introducing the GP3/13 chassis and engine package has virtually transformed the face of the championship from one of an underpowered category with low buzzsaw-sounding engines to one which aligned itself as a healthy step up from Formula 3. As with all the competitors in the GP3 Series this year, Yelloly has found the Pirelli tyres a troublesome component due to excessively high wear, but one that needs to be mastered if success is to come. 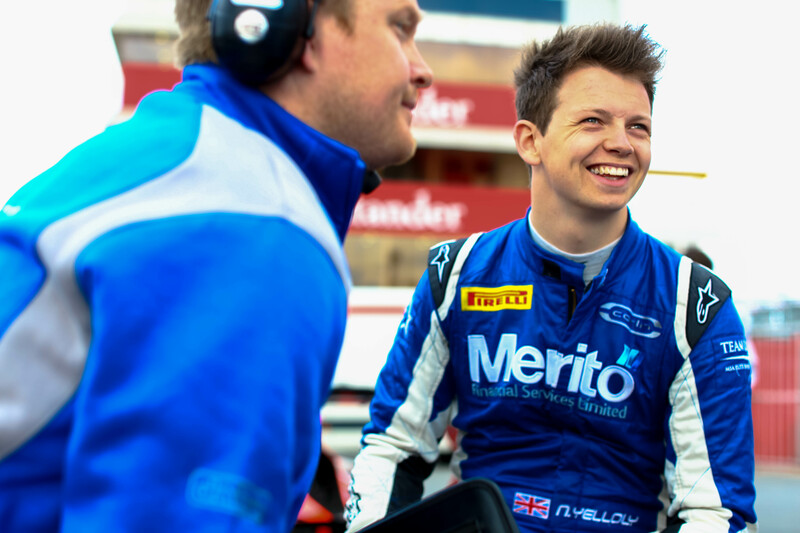 With eight British Formula 3 titles, as well as a couple of World Series crowns in Carlin’s drawers, Yelloly has had plenty of praise for his new team. “They are probably the most professional that I have worked with and they are very, very thorough.” He continues, “Mike Lugg is my engineer; he is very experienced and won in Formula 3 with [Jean-Eric] Vergne, so I have some very good people on my side. As GP3 is not running in Monte Carlo this year, there is several weeks until the next competitive meet at the Ricardo Tormo Circuit in Valencia; however the meantime, the field is to congregate in June at the Hungaroring for its sole in-season test. Yelloly is confident that the team can at least go some way to solving some of the heavy tyre wear issues that cropped up in Barcelona. Despite his drawbacks in the opening round, Yelloly is realistic about the potential for the rest of the season and of the long term. “The aim is to win, as everyone will say. Really, we’re trying to raise the money to either do something similar to Robert Wickens, where he went back to World Series to win, but ideally [the future] would be GP2. post, while I am also zealous of getting know-how.